CES introduced a couple of new notable smartphone entries into the ultra-value segment (sub-$300) of the US market, both from Chinese phone makers: The Honor 6X and the ZTE Blade Pro. Honor had already announced the Honor 6X a few months before it brought the 6X to the States at the CES announcement. Honor's 6X was announced with a Kirin 655, 3GB of RAM, 5.5-inch 1080p display, a 3,340 mAh battery, and a dual camera setup. Since the 6X was technically released earlier than the Blade V8 Pro, ZTE had a glimpse of what Honor was offering and immediately took a chance to one-up the Huawei-owned brand. 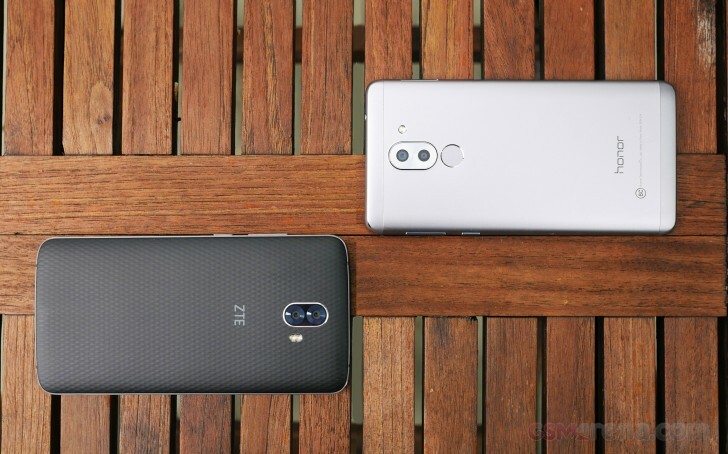 ZTE's product checks more boxes on paper: NFC, 5 GHz Wi-FI, USB-C, and Quick Charge 2.0. The 6X has none of these and costs $30 more than the Blade V8 Pro. In addition, the Blade V8 Pro has a dual-13MP camera VS the Honor 6X's 12MP+2MP setup. This will definitely be an interesting comparison. Both devices are shipping with Android Marshmallow, but Honor's 6X is in line for Nougat before the Blade V8 Pro's (Honor is currently beta testing the Nougat update). Only time will tell how both of these devices will stand up to the user experience once they are updated. But for now, we'll focus on hardware design, displays, battery life and performance. We'll also be comparing the two dual-camera shooters head-to-head. Does the ZTE Blade V8 Pro stand a chance against Honor's online retail presence? We'll start with hardware and design and go from there. Agree with your points, but the camera is much worse on the Redmi Note 4.